Develop .NET Applications using API, to Compare & Check for Difference in Content & Style Among Same Format Documents. Open NuGet package manager, search for GroupDocs.Comparison and install. GroupDocs.Comparison for .NET API helps developers build document difference checker applications in C#, ASP.NET or other .NET related technologies.  This Comparison API for .NET allows checking difference in both, content as well as the text style, while considering various other factors, for the supported documents. The comparison can be done at word by word or character by character level to identify changes among compared files while providing a comparison document that lists differences. GroupDocs.Comparison for .NET API can fetch, compare and save simple, password enables, as well as encrypted documents via file or stream. With GroupDocs.Comparison for .NET you can specify the extent to which you want the documents to be compared. You can choose among, low (compare text word by word with accuracy for imaging grid = 50), middle (compare text character by character with accuracy for imaging grid = 100) or high (compare text character by character with accuracy for imaging grid = 150). GroupDocs.Comparison for .NET offers feature to compare text style. While words and characters of documents are being compared, the font name, font size, font color, font style (Bold, Italic, Underline, Small Caps, Hyperlink) and underline color (if applicable) can be compared to find differences. While comparing paragraphs, you can compare styles such as, paragraph alignment, indentation (left indent, right indent), paragraph spacing (space after, space before), first line indent, and line spacing. GroupDocs.Comparison for .NET also supports comparing other sections of a page, where applicable, such as footer distance, page height & orientation, margins (left, right, top, and bottom), border line width, and border color.